It’s always been human nature for people to form tight mini-communities around work, interests and passions. Only now we have social media to form virtual communities that can reach around the world. 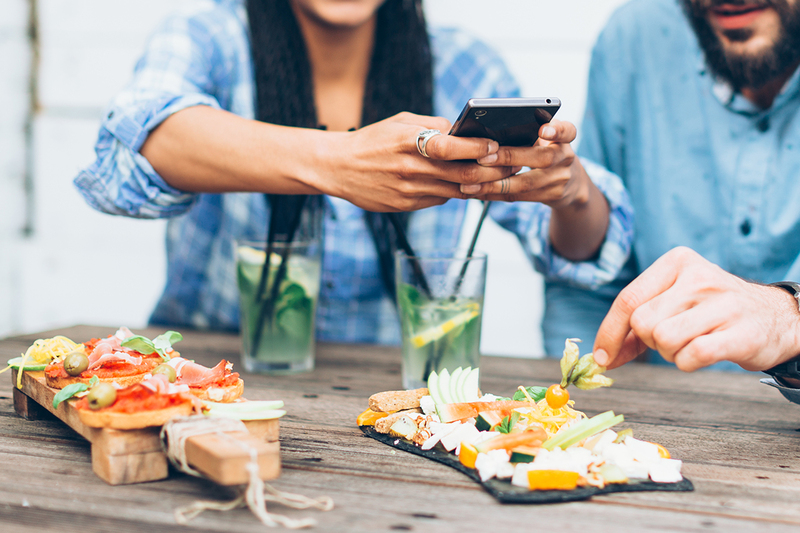 Sharing user-generated content (UGC) is a form of community, part of the way we connect with each other through shared experiences with a brand’s products or services. People are in fact twice as likely to share UGC, and yet brands are still out of sync with consumers when it comes to leveraging trends in this area. According to reporting from Adweek, 85% of users surveyed find visual UGC more influential than brand-generated photos or videos, yet only 65% of brands actually agree. What about the brands that are actually leveraging UGC campaigns? While 50% of users want some guidelines for creating UGC, only 16% of brands provide them. That leaves users with vague ideas and uncertainty about what to create, and leaves untapped marketing potential on the table. The engagement potential and cost effectiveness of UGC can make it a powerful tool for brands. For example, Facebook ads with UGC perform better than an average ad, with 300% higher click-through, 50% lower cost-per-click and 50% lower cost per acquisition rates. The combined engagement and significant cost savings can make focusing on UGC a no-brainer for brands big and small. As brands step into UGC campaigns for the first time, there’s no playbook telling them how to get it just right. It’s easy to get caught up in the excitement and promise of UGC campaigns without knowing what to do next. What should a user-generated content campaign even look like? And how do you entice enough submissions to make a real impact in your marketing efforts and improve your bottom line? 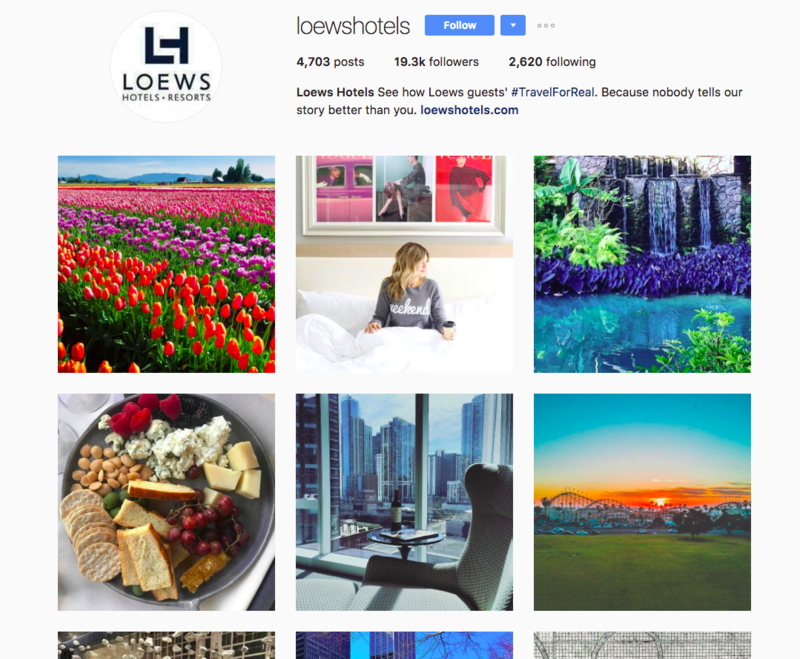 Take a cue from some of the brands rocking user-generated content, from Loews to Mint. They’ve figured out how to get loyal followers to provide UGC most brands can only dream of. Here are seven great examples of UGC to help inspire your next campaign. Instead of hiring well-seasoned commercial actors to portray happy hotel guests, Loews used photos of actual guests instead. The hotel group started the process by looking through Instagram photos that their guests had already shared, relevant hashtags, and location tags to narrow the results. The end result is social proof that forges an emotional connection. Future guests can see exactly what they’re getting without any tricks or embellishments from a professional photo shoot. They’re getting a glimpse of what their actual vacation could look like. But Lowes didn’t just stop at sharing the photos or giving them recognition on Instagram. The photos are being collected and used by Loews on their own website, Facebook Page and other social media outlets with the framework, “Nobody tells our story better than you.” Loews credits each photo to the photographer in part so that future guests can click through and see that they came from a real person with other photos beyond those taken at a Loews property. It’s no longer necessary to spend a small fortune in production costs just to recreate the authenticity that customers are already sharing online. Find out what your customers are sharing, and leverage the power of its social proof. Get your community involved in your marketing campaign by sharing their own content and honoring the stories. Loews ended up with a more authentic and complete view of their hotels from a traveler’s perspective while keeping costs low. Brooke Shields popularized the tagline behind the #MyCalvins campaign when she famously whispered, “Nothing comes between me and my Calvins” in a 1981 commercial. Calvin Klein revived that nostalgia and took to Instagram. The brand asked followers to fill in the campaign line “I ______ in #MyCalvins,” and everyday users and celebrities alike posed in their briefs, making the campaign go viral. In just a few months, the hashtag #MyCalvins took over Instagram and boasted over 179,000 photos tagged. The brand also earned millions of new followers across Facebook, Instagram and Twitter. Calvin Klein saw the campaign connecting more deeply with young people, more so than influencer posts or paid ads had. The brand ultimately set up a #MyCalvins gallery where users could submit the best photos, and it quickly swelled to 4.5 million interactions in four months between celebrity, influencer and brand-posted content. The images are taken by users, often in their own homes or bedrooms, and offer an intimate look at their bodies and lives. Justin Bieber used the #MyCalvins hashtag to accompany a shot of himself posing in his underwear on Instagram. He famously claimed to set up the photo shoot and use the #MyCalvins tag specifically to attract attention from Calvin Klein. The effort paid off. The brand ended up with 3.6 million new Instagram followers, and Bieber ultimately landed a modeling contract with Calvin Klein. The #MyCalvins campaign isn’t just enticing attractive customers and celebrities to pose in their underwear. The brand gives a nod to the nostalgia of the 80s when Brooke Shields provocatively posed in a pair of slender jeans, all while tapping into the modern power of social media. The intimate shots of consumers in their briefs creates an emotional connection and vulnerability that can’t be matched in a professional shoot. Japanese retailer MUJI promoted the use of its pens by launching an art contest on Instagram and Twitter, and quickly generated over 3,000 submissions. Entrants used the hashtag #MujiPenArt to help spread the marketing campaign, but MUJI took it a step further. Instead of judging the contest exclusively themselves, they allowed anyone to vote on Instagram and Twitter. This helped further the spread of the contest and racFacebook and Twitter with ked up additional shares and mentions. Nearly 3,000 unique drawings created by MUJI Pen customers were uploaded to Instagram. What really made #MujiPenArt stand apart from other user-generated content campaigns was the high level of artwork submitted. The entrants’ artwork wasn’t just run-of-the-mill pen creations. Participants drew highly detailed pictures requiring refined and complex design skills that would rival professional artists. At the end of the day, #MujiPenArt wasn’t just about pens. It was about what was possible for aspiring artists to accomplish with a single pen, and it sparked inspiration in campaign followers. The campaign also showed that MUJI cares deeply about their customer’s creativity. The company posted fan creations across their own website and social media channels and celebrated winners and popular picks. Give your followers a reason to put passion into the product you’re selling, and inspire them by showing them what’s possible. Borden Cheese helped raise awareness for their products by capturing audience photos to use in their marketing campaigns. The brand launched a Culinary Creations Sweepstakes for fans to show all the different creations they made with Borden Cheese. Borden further generated a buzz when it offered cheese-loving entrants a chance to win one grand prize kitchen, while five additional winners won premium KitchenAid Artisan Stand Mixers valued at more than $4,000. The brand took a seemingly boring and static product like cheese and turned it into a thing of inspiration. 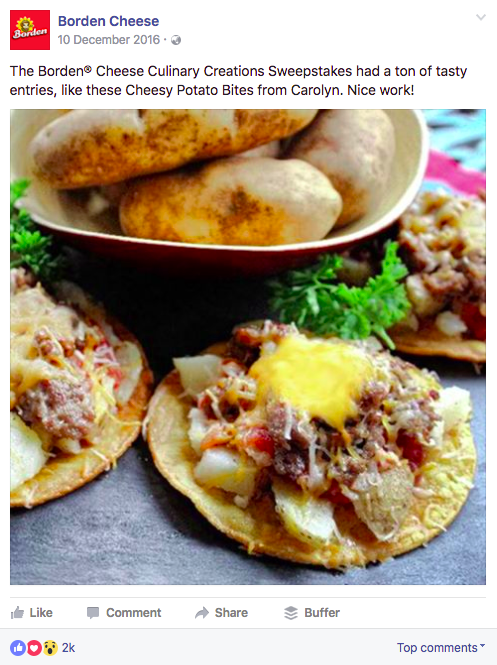 Anyone who was curious about the versatility of cheese would get an eyeful from Borden’s social media channels. Cheese enthusiasts and Borden fans submitted a large display of cheese-infused dishes, entrees and artistic displays. Announcing the Borden® Cheese Culinary Creations Sweepstakes, your chance to win premium appliances and cookware prizes valued at over $3,000! It’s easy, just use Borden® Cheese and your imagination to create something fun with food. It could be a snack, a meal, or even a food-based centerpiece. Enter before 11/30/16. NO PURCHASE NECESSARY. Free entry available. Open to U.S./D.C. residents, 18+. Link in bio! Brands who think their product is too boring for user-generated content should think again. Borden gave their community a vehicle to get inspired and have fun with their creations by posting them to social media. The promise of a new kitchen and high-end appliances helped fuel the campaign, but the eye-catching photos and artistic cheese displays helped inspire others to see what was possible with a single block of cheese. 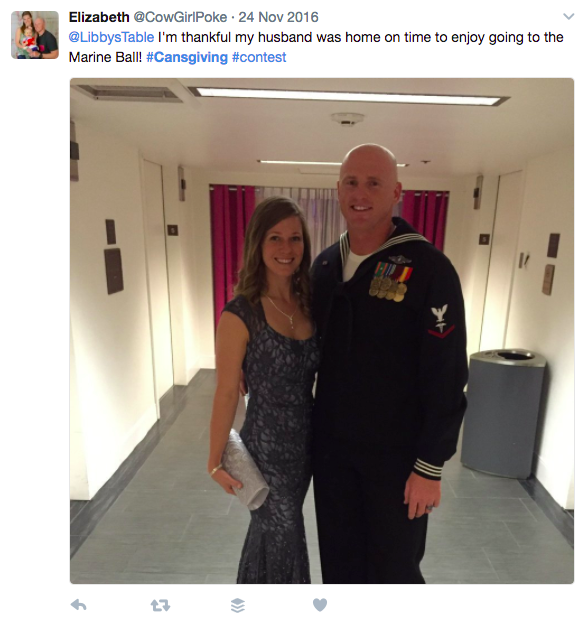 Food brand Libby’s launched a #Cansgivingphoto contest during Thanksgiving to inspire user-generated content from followers. 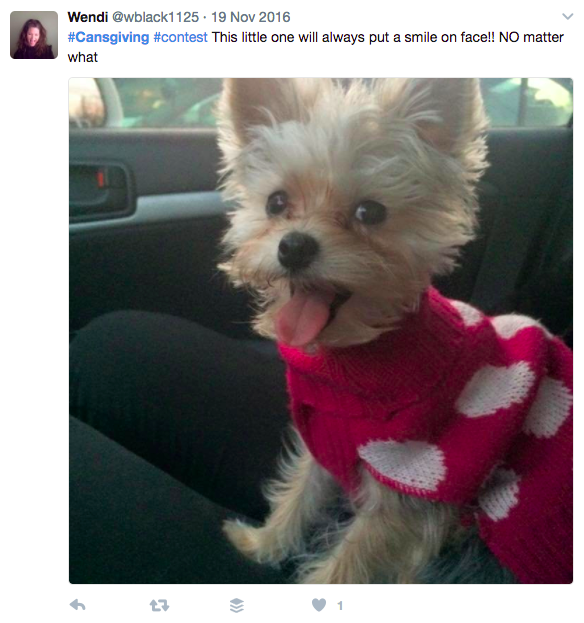 The brand asked their fans, “What are you thankful for this Thanksgiving?” and they were encouraged to share photos through social media platforms including Instagram, Facebook and Twitter with #Cansgiving and #Contest. Libby’s entrants were also given the option to publish directly to Libby’s online contest page and sign up for ongoing marketing messages. Libby’s ultimately gave away $350 to winners to use towards their Thanksgiving meal, along with other prizes. Libby’s also gave winners a chance to match a donation to either Meals on Wheels, City Harvest, or Children’s Hunger Alliance. In addition to sharing photos and user-generated content, Libby’s also shared a continuous stream of Thanksgiving recipes and entertaining tips to capture the emotion behind the holiday. This created a cycle for followers by giving them a reason to keep coming back for valuable content, while getting inspired by UGC photos and encouraging them to submit their own. Libby’s clearly knows something about content marketing. They tapped into an emotional and visceral connection with their followers by asking them to post what they were thankful for, whether family, friends or beyond. The brand showed that they cared about issues like hunger, while at the same time giving followers a reason to post their content. March 22nd was deemed World Water Day to help raise awareness of the 663 million people worldwide without safe drinking water. To help the cause while increasing their own brand awareness, Absolut Elyx launched a campaign that would run from World Water Day to Earth Day on April 22nd. Followers were encouraged to Instagram a shot of a raised glass with the hashtag #RaiseItForward and tag @absolutelyx, and the vodka brand would donate a week’s worth of water to someone in need. Celebrities like actress and model Jaime King participated and earned over 10,000 likes. Absolut Elyx simultaneously launched a pop-up water truck and retail boutique as part of its campaign with the nonprofit Water For People. The truck sold Absolut products, as well as limited edition copper pineapples retailing for $119.99. The pineapple is a symbol of hospitality, integrity, luxury and playfulness. 1.8 billion people worldwide don’t have access to safe water, for us its literally on tap. Let’s change that and #raiseitforward to provide a week’s supply of water to someone in need, thanks to @absolutelyx @waterforpeople #worldwaterday ??? Just because you’re a brand promoting a vice doesn’t mean you can’t launch user-generated content with a cause. After all, it’s a delicate balance trying to promote vodka and clean drinking water at the same time. However, Absolut gave consumers permission to drink up and proudly indulge in their vice while supporting and promoting a good cause. 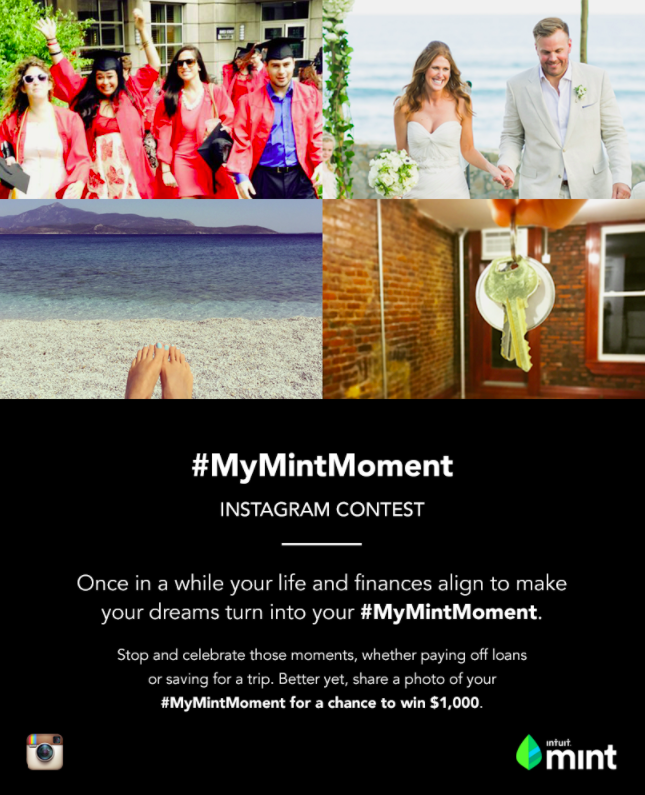 The personal finance budgeting app Mint was fairly new to the Instagram game when it launched the “#MyMintMoment” contest to rally followers and an online community. The app prompted users to share photos that depicted how their finances turned their lifelong dreams into realities with a #MyMintMoment for the month of January. Users were allowed to enter as many times as they wanted throughout the month, spurring the opportunity for even more user-generated content. And if users weren’t on Instagram, they could upload images through Mint’s own platform. Mint offered a grand prize of $1,000 to encourage submissions of photos of special moments, such as weddings, paying off a loan or saving for a much-needed vacation. Mint knew that users might be deterred from entering unless they showed off big, huge financial goals like buying a home. To encourage life moments big and small, Mint welcomed photos showing everything from paying off student loans to saving up for an event. The personal finance app focused on the event and celebration instead of a dollar amount. This campaign could have fallen flat if Mint had focused on sharing pictures of money or promoting user-generated content that simply showed people using their app. There’s not much of an emotional connection when you see someone holding a smartphone. Instead, Mint appealed to their customers’ emotional side by focusing on how their app could help enhance their customers’ lives, and foster an intimate connection with their audience. In today’s world, authenticity is something that should be deeply rooted in any community driven marketing strategy. Consumers have begun moving outside of the marketing funnel and are becoming less swayed by traditional advertising methods. Customers “crave stories, they crave connection, and they crave interaction with other humans.” Consumer choices are increasingly being driven by authentic, non-linear content campaigns that involve participation and build a sense of community. The influence of UGC is obvious, and there’s no doubt that we’ll see much more of it in years to come as brands tap into the power of their communities. What are some of your favorite user-generated content campaigns? Share in our Facebook Group.